Sonja's first book provides insight into how she was able to round up enough factual information from various sources and package them into one book. That book provides a pathway to become a comfortable investor by combining investing facts with practical application and hands on insight. 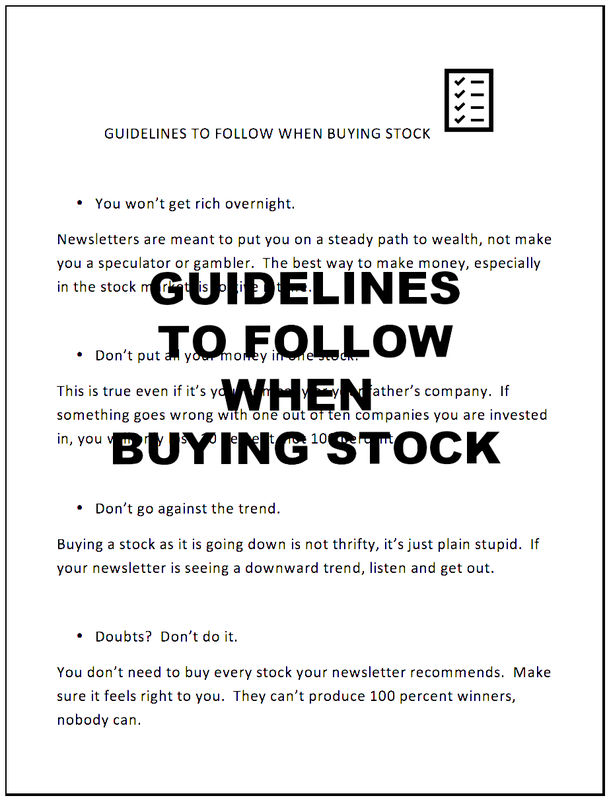 Based on some of my insight I have put together a list of GUIDELINES TO FOLLOW WHEN BUYING STOCK.